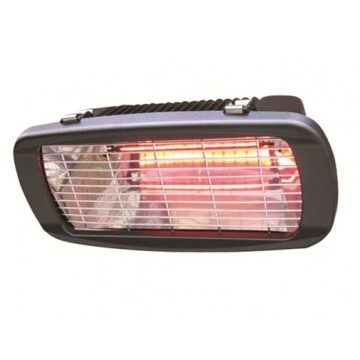 Heatmaster U4IPR 1.3kW Outdoor Heater. 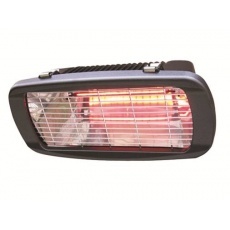 1.3 kilowatt wall mounted heater. Low running costs 10p per hour. Heated area 9 square meters. IPX4 rated full weatherproof casing for outdoor use. Simple to install and fix. 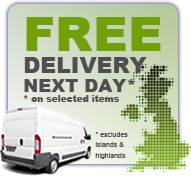 Supplied with 2 meter cable and standard 3 pin plug or can easily be hard wired to mains electricity. Size w/h/d cm 40 x 18 x 17. Minimum mounting height 2.5 metres.